In my main review, I spoke about this being the best Spider-Man seen in film. And I obviously can't spoil it back then, but I would like to list down some of examples of these excellent moments. There are actually a lot of these but a good example would be the montage early in the film when he does these little things in the street like stopping a bike theft or helping an old lady with some directions, when Tony & Happy were not responding his calls. 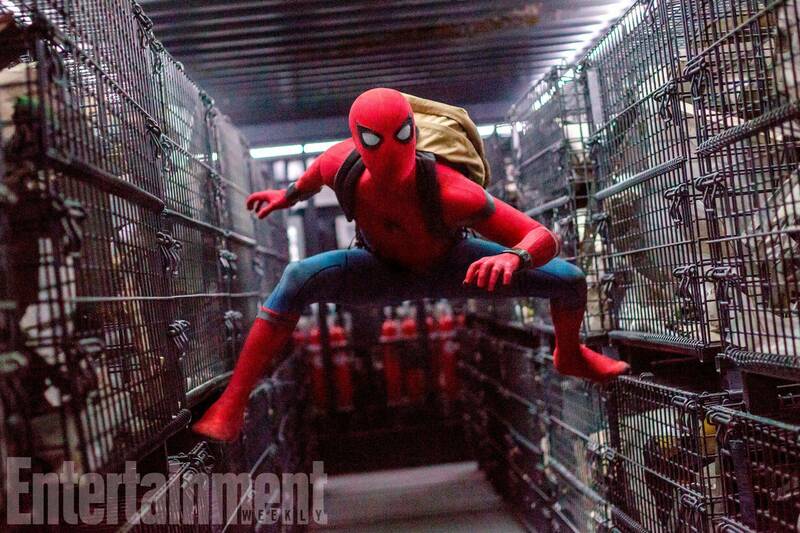 All this really feels exactly like what a Spider-Man would do. But the parts I like best was when Peter has these conversations with his suit AI, Karen. These are just hilarious. Like when the suit keeps suggesting the instant-kill mode, or when suggesting the different type of web shooters...Peter's responses were just hilarious. And I also like it when the suit was in enhanced interrogation mode and masks Peter's voice. It made the voice intimidating, but the words that came out was one of a young teenager. The most memorable scene, for me, was when he was stuck in the warehouse and has these conversations with Karen while also trying out the different type of web shooters. Again, he does these funny things that only Spider-Man can do. All these scenes are super fun & hilarious to watch and which is why I can easily say that this is the definitive film version Spider-Man. Also as mentioned in my review, I was initially very skeptical about the high school scenes in the film, but I ended up enjoying those a lot. Ned is a surprisingly very fun character, and so is the snarky, sarcastic Michelle. By the way, I don't quite like the MJ reference...but it doesn't bother me much. Meanwhile, I really like this version of Flash Thompson for being more of a fun character & modern bully, instead of the old school physical bully. The character of Liz was okay, but what I like was seeing how Peter has a crush on her and how he approaches her. I mean, these are things that we all feel at one point in time, but we don't see it happen with Captain America or Iron Man or Thor. By the way, the reveal that Adrian Toomes was her dad was such a surprise to me. I didn't see that coming at all, but it was a nice surprise. A very quick one here. I like the fact that while Iron Man and The Avengers deals with all these big threats and aliens and monsters, but they ignore these street level crimes on the ground, and that is where Spider-Man comes in. This gives that perspective that there are more dangers than just the ones from the sky, but even those closer to home. Which is also why I like that, at the end, Spider-Man rejects the option to be an Avenger, and instead chooses to stay at home and look out for the "little guy" in and around his neighbourhood. I mentioned in my review that the mid-credits scene got me really excited for the future. And that is because, for a while, I thought Mac Gargan (who will end up to be Scorpion) had fallen from the ferry and died. But to see him in the mid-credits scene there gives me not only the relief that the character is alive, but also the excitement that if he gets teased like this in a credits scene, you can bet that he'll show up in future movies. And in case you are wondering, I am not necessarily a big fan of Scorpion, no...that's not the reason why I'm excited about this character. Rather, I am very much a big fan of the actor Michael Mando. I am such a big fan of his work, including as Nacho Varga in the Breaking Bad spin-off, Better Call Saul. But his best role remains as antagonist Vaas in the video game Far Cry 3, which is my favourite character ever in video games. I became a fan of him because of this game, and anywhere I can see more of him (more so if its in the MCU) is just going to get me excited. Meanwhile, the post-credits scene is just brilliant. It is hilarious, and was brilliantly delivered by Chris Evans. Amazing stuff.